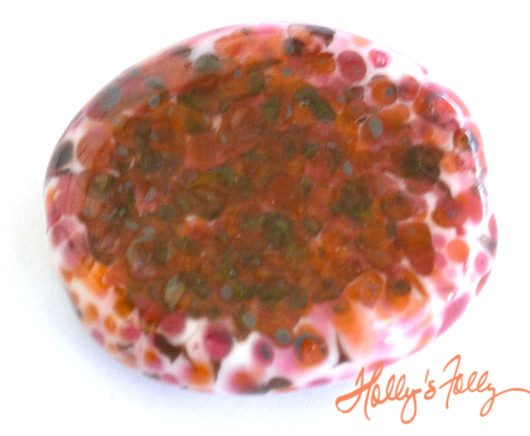 The inside of this abstract heart shaped bead is created by multiple layers of glass… I was going for orangy pink… but I didn’t like the shape. 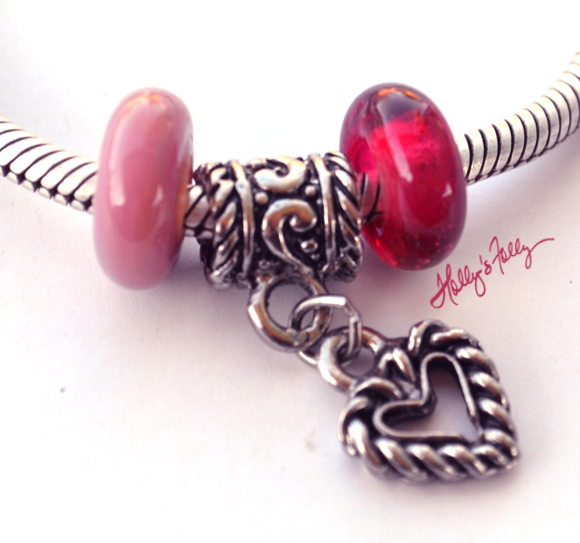 As often happens with my beads…sometimes they just “want” to be hearts! 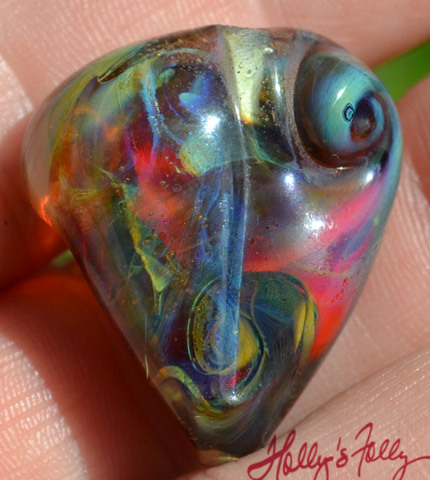 I started messing with the shape and some of the silvered glass worked its way to the surface. In the end, I think it’s much more spectacular than I envisioned. 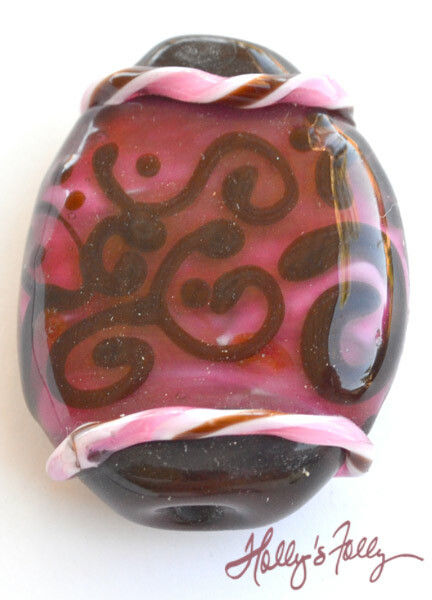 Swirls of metallic glass with glorious pink peeking through… She’s a beauty! 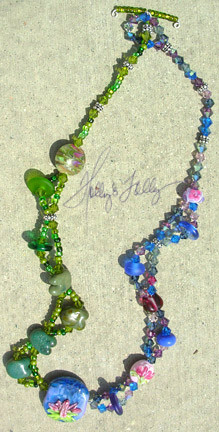 This is a really stunning, eye-catching necklace! 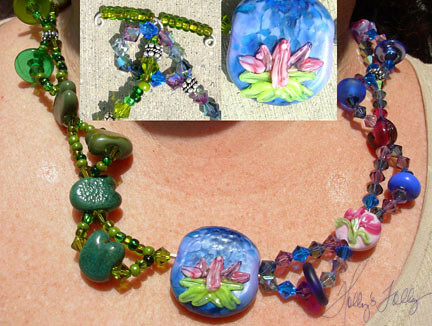 It was one of my Art Bead Scene entries last year and you can read about it here. 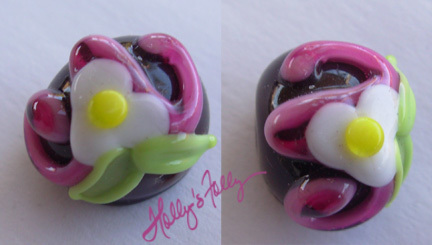 I often keep things that took me considerable time and effort just to admire them. I often don’t feel I’m “ready” to part with them but… a girl has to make a living. 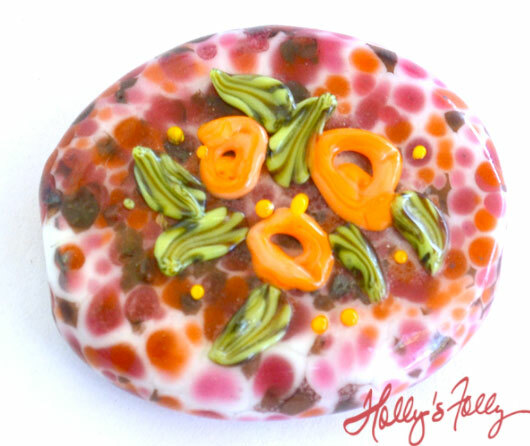 I had a customer request a larger focal to match her earrings. I had never thought of doing a larger truffle for a pendant. I liked it so much, I made two. You can see hers HERE. 1/2″ hole to hole x almost 5/8″. 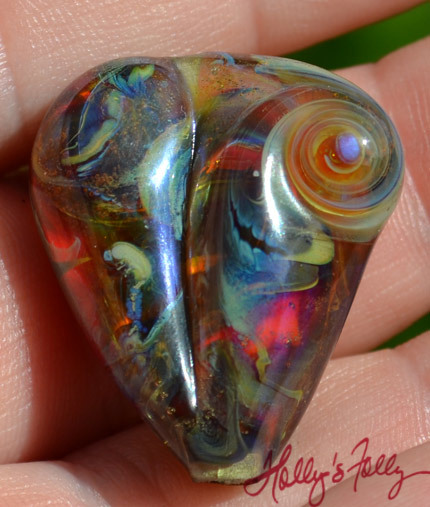 1 focal $8.00 I will wire wrap for an additional 12.00 – just ask.